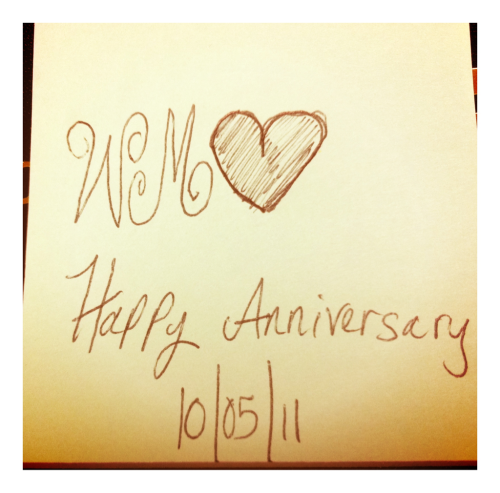 Yesterday, October 5th, marked 3 years since we became officially Wegan! This is the first time we've been able to celebrate an annual anniversary together. Funnily enough we had hoped to be celebrating in Paris at our three years, but South Carolina will do ;) Luckily I decided to propose to Whitney earlier on in the year in Hawaii, as I had planned to propose on our 3 years in Paris! We went to a romantic dinner at a French style restaurant accompanied with a very cute old lady playing the piano and singing. We later celebrated with a glass of rose champagne. Cheers to three years baby & many more! I love you.